I typically characterize small ships as those carrying 1,000 or fewer passengers, or guests, as the cruise lines like to refer to the warm bodies that inhabit their vessels. However, I thought it would be interesting to take a look at the best luxury cruise ships carrying fewer than 600 passengers. The contenders? 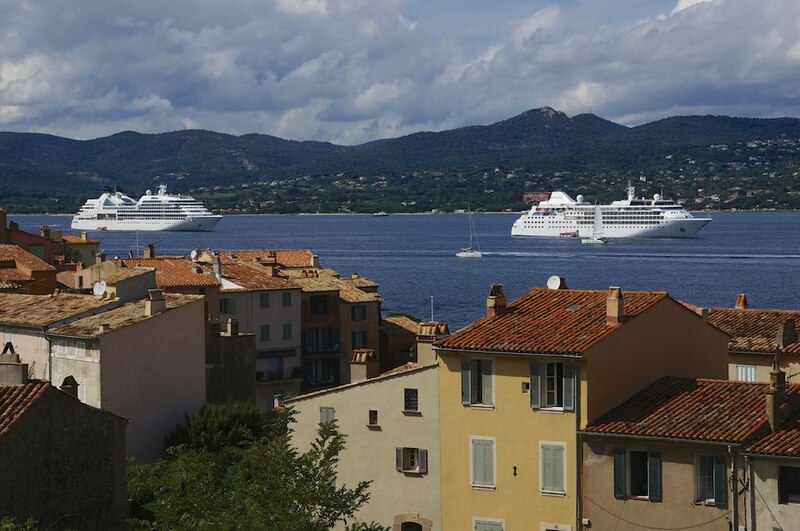 The fleets of Silversea Cruises, Seabourn, SeaDream Yacht Club and Hapag-Lloyd’s Europa 2. I could also have included Paul Gauguin and Seven Seas Navigator, as they make it under the limbo pole, but I’ve not stepped foot on these vessels. Of the contenders I can speak about from experience, each has its own flavor: Silversea is owned by an Italian family and thus exudes an Italian ambience on board its vessels; Seabourn has a Norwegian heritage, which is apparent in the design (by a Norwegian) of the Sojourn-class vessels, and its captains (many of whom are Norwegian, compared to mostly Italians for Silversea). SeaDream was born out of Seabourn, so there are similarities (and borrowed ideas perhaps), but SeaDream is in another league altogether. It’s Yachting, as the company is fond of saying, Not Cruising. Hapag-Lloyd’s Europa 2, the newest of the vessels discussed here (and also the priciest to cruise) hails from Germany and thus has the feeling of Germany gone to sea. For example, on Europa 2, you can head up to Sansibar for Currywurst and Weiss Beer. You can’t do that on just any old cruise ship — or many new ones for that matter (Large ship operator Aida Cruises may be the exception). Note that I am not including sailing ships (that’s for another post), river cruise companies (see our sister site, River Cruise Advisor) or small ship operators such as Un-Cruise Adventures, who certainly deserve a closer look in a future post. Why do I love small ship cruising so much? I’m glad you asked. See Five Reasons Why I Prefer Small Ship Cruising.